Learn why Jeff Friedman became an injury lawyer to fight for your rights. Our expert attorneys have a firm commitment to helping clients. The attorneys at Friedman, Domiano & Smith have a reputation for success. Read what our clients have to say about working with the FDS legal team. When you work with FDS, you have an entire team on your side. 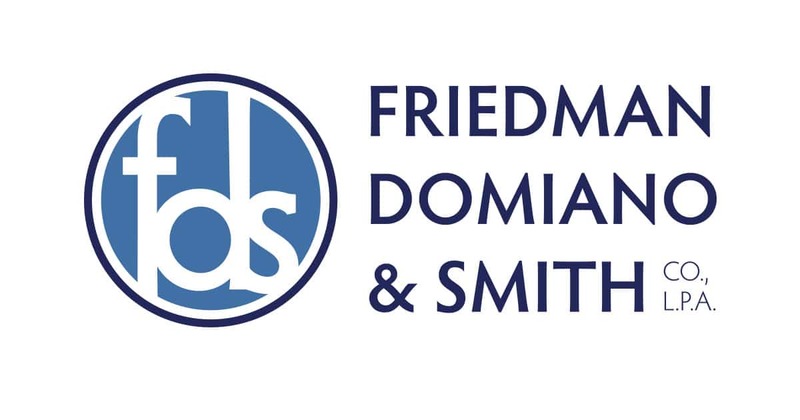 Friedman, Domiano & Smith is recognized as one of Ohio's leading personal injury law firms. Years of experience and a team of knowledgeable attorneys help us to successfully handle even the most serious and complex cases. We strive to provide you with the best possible representation at every stage of your case. From your first phone call until a favorable settlement or jury verdict, our attorneys will take the time to answer your questions and involve you closely in the process. An automobile crash can happen in the blink of an eye. However, the injuries that result from an automobile accident can impact the rest of a person's life. The lawyers at Friedman, Domiano & Smith know just how much car accidents can permanently change the lives of personal injury victims and their families. Our attorneys and support staff know you have enough on your mind. We handle all of your legal matters, so you can focus on recovering from your motor vehicle accident. We even visit clients at home or in the hospital when necessary to talk about important case information and to be sure that we are handling your case in the way you see fit. If you or someone you care about has become the victim of medical malpractice, filing a lawsuit can be the best way to make sure that the same harm does not happen to others in the future. Medical malpractice lawsuits hold health care professionals accountable for the harm they cause. In addition to giving malpractice victims and their families the resources needed to move forward with their lives, a malpractice lawsuit can lead to policy and procedure changes. When a health care professional makes a mistake, the cost can be very great—from a permanent disability to death. The attorneys at Friedman, Domiano & Smith have won countless cases for people throughout Ohio who have suffered from medical mistakes. View tweets by @JeffFriedmanFDS on Twitter. In 1852 Ohio was the first state to enact laws protecting working women. 50% of the United States population lives within a 500 mile radius of Columbus. When you retain Friedman, Domiano & Smith as your law firm, you get much more than the service of just one lawyer. You also receive a case manager and paralegal assisting your case. The Bureau of Justice Statistics reports that almost half of all medical malpractice lawsuits filed in the US are brought against surgeons. Compared with other vehicle types, utility vehicles experience the highest rollover rates in injuries that cause injury or death. Negligence is a failure to use ordinary care. Ordinary care means that each person is required to use the care that any reasonably careful person would use under the same or similar circumstances to avoid causing injury. In a civil case, a lawyer must prove the injured person's claim by a "preponderance of the evidence." This means that the lawyer has to prove that the injured person has the greater weight of evidence. When you are involved in a car accident, you are allowed to choose your own repair shop under Ohio law. The insurance company may suggest a shop but cannot force you to accept its recommendation. Medical malpractice is professional negligence by act or omission by a health care provider in which the care provided does not meet the accepted standards of its specialty. In Ohio it is illegal to fish for whales on Sunday.